We have witnessed the mercury soar in the past fortnight – and although we claim to be a couple degrees cooler than mainland Mumbai or Pune, the heat obviously does not discount us in any way. However, we have all the tools and strategies to beat the heat this season. Top point in this – the lush nursery of ours is always a cool place to hang, and all the trees and landscaped areas around ensure your walks around TMF are not really troublesome. Secondly, we have a kitchen that’s ready to dish out weather-savvy foods and drinks. Just last weekend, we have given out a few ideas to our folks to have summer coolers ready. We will try and get locally grown ingredients for each of these and ensure they completely give you a dose of chill and health. Few of them include the all-time favourite chhas, topped with some jeera. There is no such thing as having too much of this, especially after a meal. 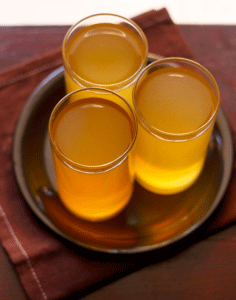 Then, there’s the good old khus sharbat, easy on the eye and lovely to taste. Apart from being a hit for all ages, it also boosts metabolism, gives you a sound sleep and regulates blood pressure as well. Also, the North Indians might know this, there’s sattu, i.e. 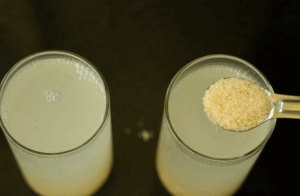 roasted chickpea and barley flours – in a drink. 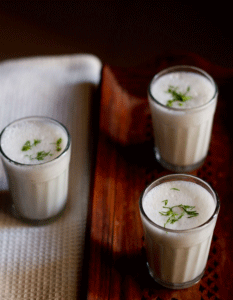 You may have had it in a paratha but we can tell you, as a summer cooler, it’s homely and very enriching. Rest assured, all our suites have air-conditioning that’s powerful enough the wide areas so your afternoons and nights are not a hassle. Got a suggestion for summer coolers or better, want to come try suggesting our staff your favourite recipe?